Sleeps: 5 pers. day charter with max. 12 pers. 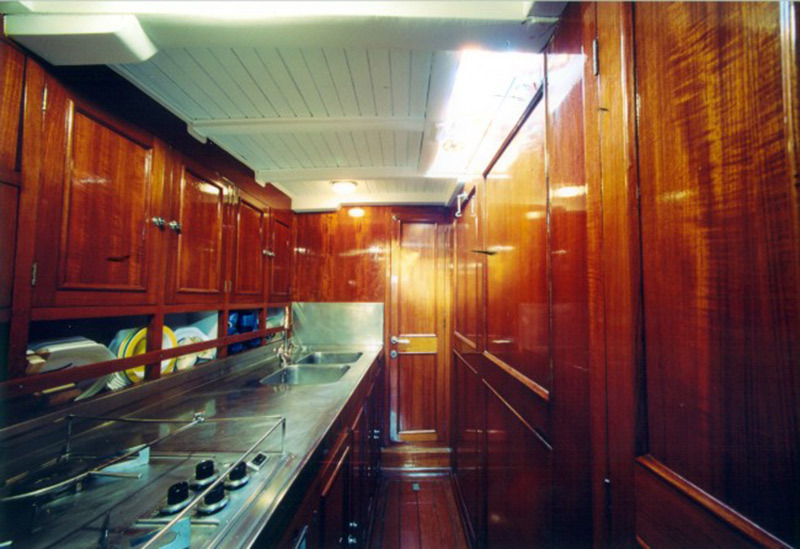 30s teak yacht, which finds its admirers with its gleaming mahogany bodies and the noble teak deck in each port. The experienced crew will take you on a journey that leaves no wishes unfulfilled. The Blue Peter has been prepared authentically in a complex, three-year refit to the smallest detail. It combines in perfect symbiosis classic, elegant design with modern, sporting equipment - a dream for lovers of classical music. 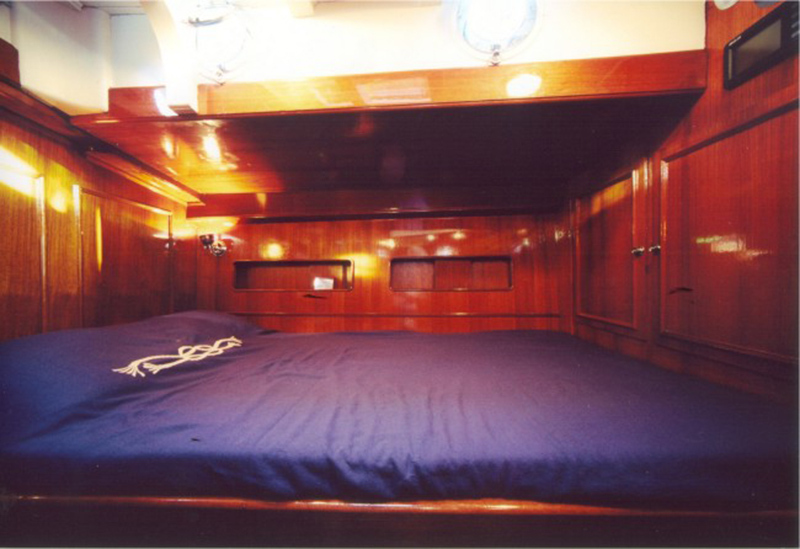 In addition to numerous regattas You can charter The Blue Peter for day, weekend and week charter. The History of The Blue Peter begins officially in 1930, although the teak was used for the construction of the hull was imported from Thailand in 1870. The Blue Peter was built in 1930 by King & Sons of Burnham-on-Crouch, designed by the designer Alfred Mylne from the year 1929. The Blue Peter is the name of the regatta flag (Blue Peter) loan, which comes as a signal for the early start to use five minutes before the start of a race. In the years after her launch The Blue Peter won with the Royal Corinthian Yacht Club at Burnham-on-Crouch over 50 races. After six successful years, her owner Desmond Molins decided on a drastic remodeling of the vessel by letting remove the bowsprit and lengthen the torso. In 1938, The Blue Peter underwent a relaunch of their plans they have been preserved to this day in the same form. 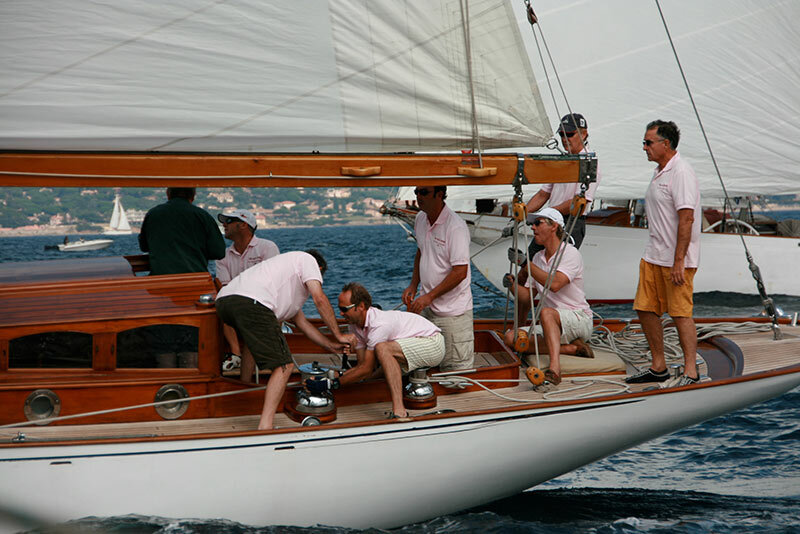 After this conversion followed Molin for 12 more years successful regatta. In the early 50s, The Blue Peter was sold and taken to Italy. 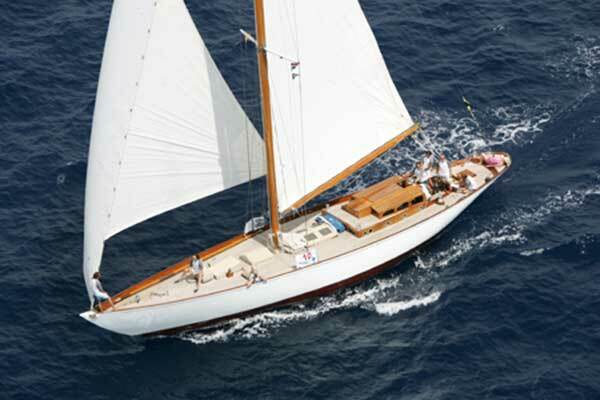 There, she graced Italy's islands and seas for almost 50 years, until her current owner Mathew Barker found in Elba. 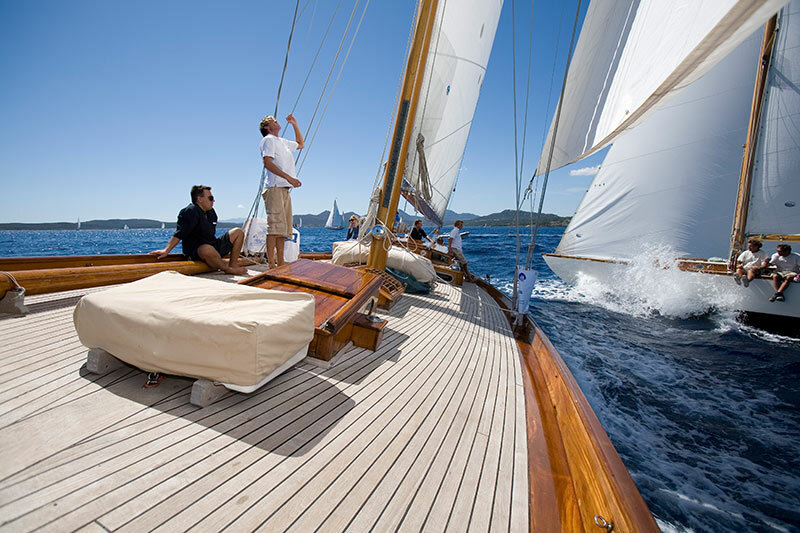 He brought her to Porto Santo Stefano, in the shipyard Cantiere Navale Dell 'Argentario to let them shine back to its former glory in a complex refit. 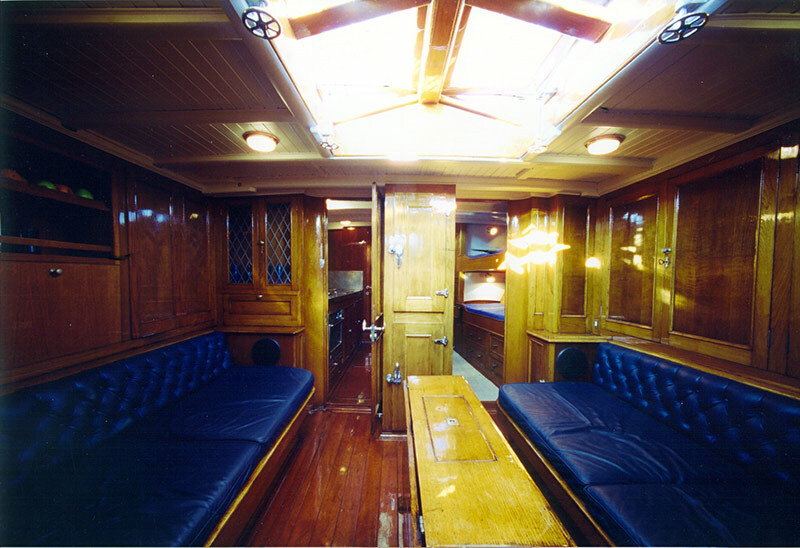 The entire renovation took nearly 3 years, and The Blue Peter already during this time again denied many of the Mediterranean regattas and with some great results as a victory in her class at the regatta, Trofeo Almirante Conde de Barcelona, or the prestigious price, Most Authentic Yacht 'in Saint Tropez, in 2002. Interested in Classic Yacht The blue Peter?